Google Authorship How To Video: Why Google Authorship is a Must! 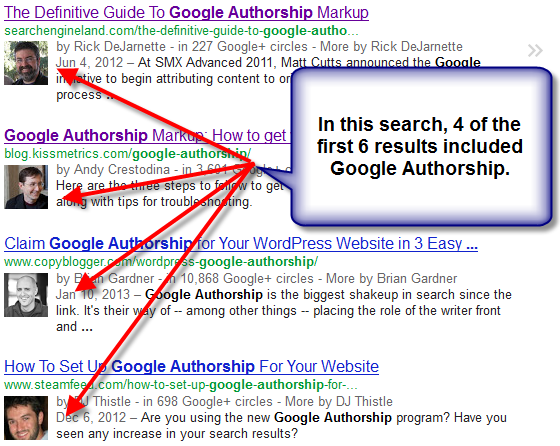 Are you implementing Google Authorship yet? If not, you are losing to your competitors. 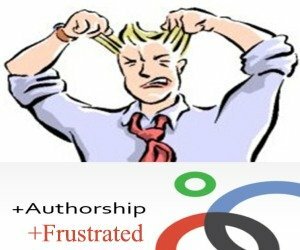 On this page, we will illustrate why Google Authorship is important and bring you our how to implement Google Authorship video. They say a “picture is worth a thousand words” but in this case it might be worth a lot more: your future success online! After doing a routine Google search for “Google Authorship”, 4 out of the top 6 results were from web pages that had implemented Google Authorship. 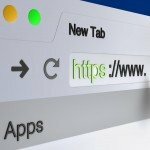 Are you starting to see Google’s strategy? Google+ currently lags behind Facebook as a social media outlet. However, what do you need to have to implement Google Authorship? You guessed it…an active Google+ account. 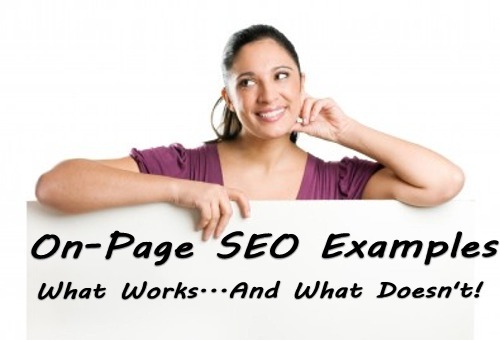 And what makes your Google Authorship pages more likely to appear in search results? The answer is the amount of people who follow you on Google+, which forces you to be active with your account. 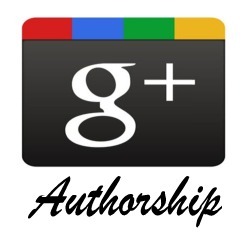 Thus, your successful implementation of Google authorship, and subsequent success with Google authorship results, is augmented with heavy participation in your Google+ account. What’s the moral of the story? 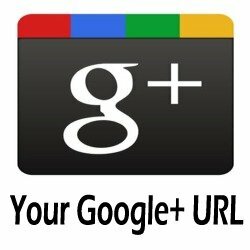 It’s time to get your Google+ on! If you would like to truly master Google Authorship and Google+, we invite you to take a 30 day free trial of our top SEO and Social Media software today. Now, let’s take a look at our video on how you can easily implement Google authorship on your WordPress blog or website. In the video below, we illustrate the importance of Google authorship with a live search and share the easiest way to implement Google authorship on both a WordPress website and non-WordPress website.